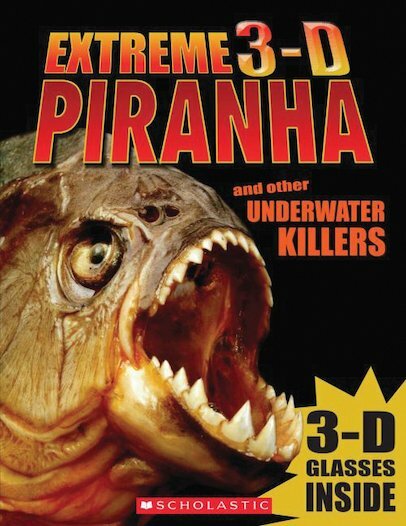 3D terror in the ocean – and you won’t even need to get wet! (Well, apart from sweating with fear, of course.) Piranhas are one of nature’s deadliest predators. But they aren’t the only dangerous creatures to live underwater. Sharks, barracudas and crocodiles are just a few more examples of really wild wildlife that hunt and kill in the watery deeps. Use the special glasses in this book to watch them in extreme 3D. Just don’t let them leap out and bite you!